Manchester has a world renowned international airport, and if had a group of rocket engineers had had their way, could Manchester have had a spaceport to launch rockets, too? 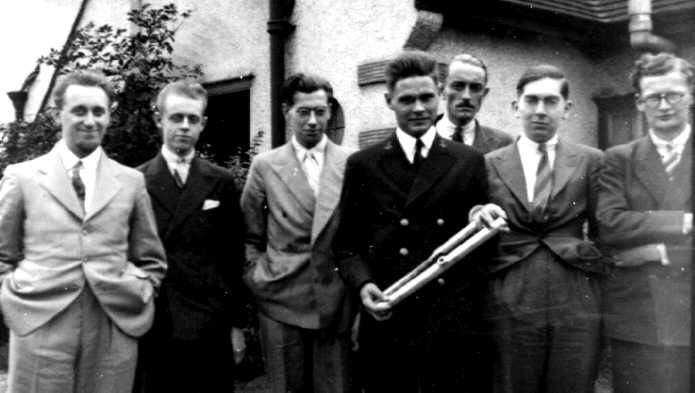 A group of rocket engineers lead by Eric Burgess formed the Manchester Interplanetary Society in 1936. Working closely with the Sci Fi community, their headquarters were initially on Ashton New Road before moving to member Harry Turner’s house near Plymouth Grove where the young Arthur C Clarke attended meetings. Their ambitious choice in naming their society was reflected in the name of their bi-monthly publication – “The Astronaut” published a quarter of a century before Yuri Gagarin made the first flight in to space. It was probably the first time the word “Astronaut” and the idea of human spaceflight entered the Mancunian vernacular. A brass plaque will be unveiled to a commemorate the Manchester Interplanetary Society on the original site they used to test launch rockets they designed and constructed seventy five years ago. If you would like to attend, download this ms word summary which includes a map. Where: Clayton Vale, near the city of Manchester stadium. Download leaflet. Postcode of the nearby Bay Horse Public House is M40 1GR. Refreshments: will be available for small charge. Limited free parking. Who is invited: Local astronomers, writers in science and sci fi, press, local politicians, members of the local community and members of Salford Astronomical Society & Manchester Astronomical Society and anyone with an interests in history of spaceflight. Clayton Vale, a stone’s throw from the velodrome in East Manchester, is now a small picturesque park with the river Medlock running through its length. In 1936 and 1937 it was undeveloped and used by the MIS members as launch site to test rockets they designed and built. Their achievements were limited by the prevailing legislation which forced them to use inherently inefficient, solid rocket fuel. Their contemporary rocketry groups in Germany, the Soviet Union and the USA experienced huge success by using liquid fuels. On 14th May 1937, the key member of the MIS found themselves in court accused of making explosives. Explaining that they were testing propulsion techniques for rocket engines, the judge dismissed the case. About the same time, Philip Cleator, who had founded the British Interplanetary Society in Liverpool in 1933, lobbied the government to repeal the 1875 Explosives Act, without success. Eric Burgess wrote many books including one of the earliest dedicated to rocket propulsion. 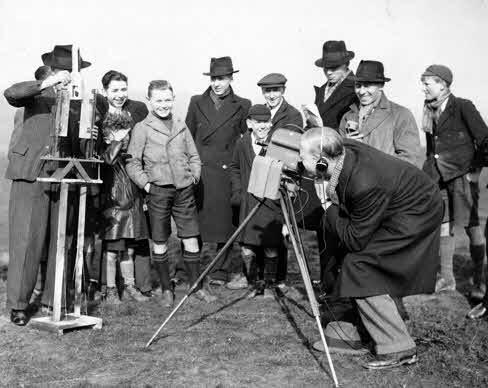 In one, Satellites and Spaceflight published in early 1957, he published images taken with the 8” telescope currently used by the members of the Manchester Astronomical Society, which he had joined in 1936. He also published images of the Moon taken by the 18” telescope now in the observatory at Salford Astronomical Society but at the time located at Jodrell Bank. Today Astronomical Societies in Manchester, Salford, Didsbury, Altrincham, Bolton, Heaton Park, Altrincham and others continue to inspire the northwest to look up and dream. Arthur C Clarke achieved international success for his science fiction and non-fiction. He wrote both in equal measure. In the 1950s, he permanently moved to Ceylon – today Sri Lanka. About the same time Eric Burgess emigrated to America and worked for NASA and the space industry. The outbreak of World War two brought dramatic developments in rocket technology around the world and to the fortunes of the members of the MIS. In early 1945 as the war approached its end, Burgess, Clarke and others rapidly consolidated the disparate rocket societies around the UK in to a single unified organisation – The British Interplanetary Society – which continues to flourish to this day.